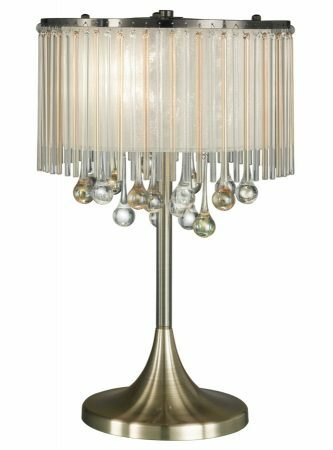 This Franklite Ambience 3 light table lamp in bronze finish with glass drops is contemporary and stylish. 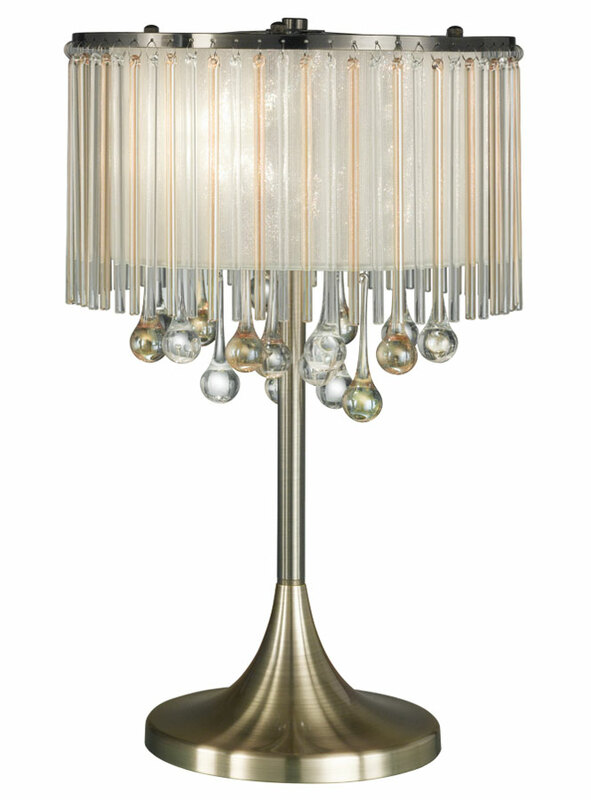 Featuring a 20cm diameter base and slender stem, with circular frame containing three lamp bulbs. 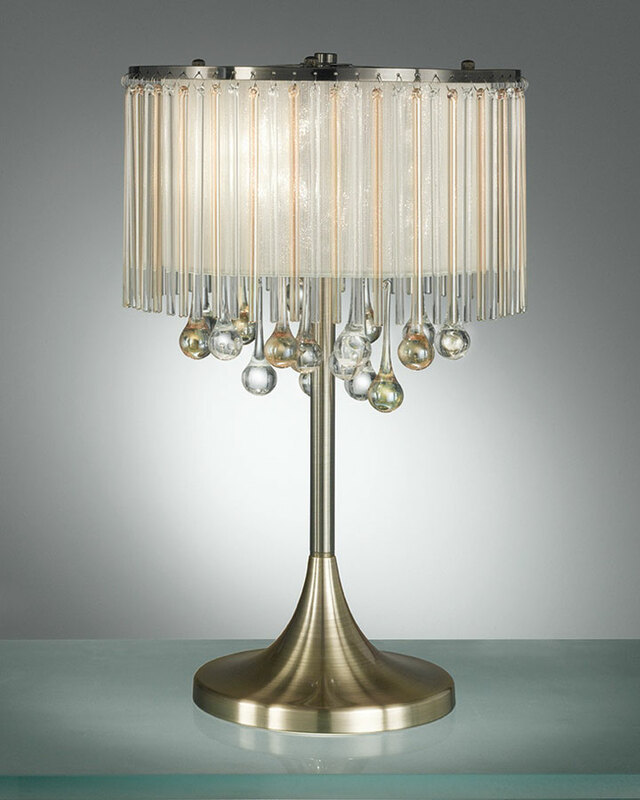 A lustrous cream strung inner shade is surrounded by delicate clear and amber glass rods and teardrop shaped glass rods hanging beneath. Class II double insulated, fitted with an inline cable switch and perfect for a stylish hallway, living room or dining room table. There are matching fittings in the Ambience designer lighting range, please scroll down the page to view. This stylish light is supplied by Franklite Lighting who have been one of the pioneers in the design, manufacture and distribution of high quality lighting such as the Ambience 3 light table lamp in bronze finish with glass drops you see here.